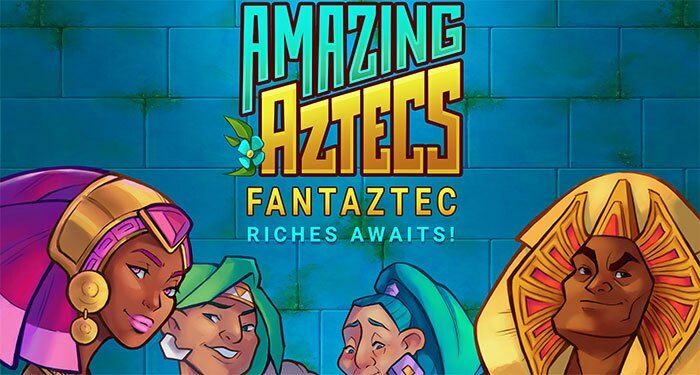 Amazing Aztecs – a new slot with a theme of ancient treasures from the company Microgaming. 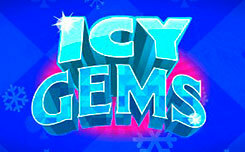 The new game has five reels and 243 winning lines. 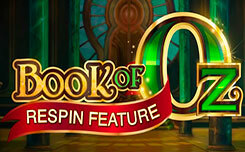 The slot is playable on any modern device with a minimum bet of 0.10 euros per one spin. 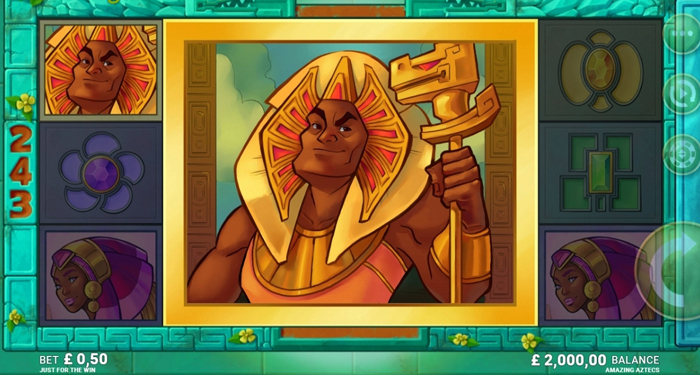 Playing in the amazing aztecs slot, you will hunt for the lost treasures of the ancient tribe, you will have the opportunity to activate just one bonus function Giant Re-Spin, in which you can get giant blocks of symbols and win a huge prize. 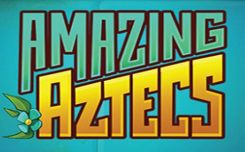 The visual amazing Aztecs slot has a minimalistic style. The game screen is located on the background of the stone wall of the ancient temple. On the drums you will find symbols of various colors made of jewels and stone. There are also four main characters: Shaman, Hunter, Princess and Chief. 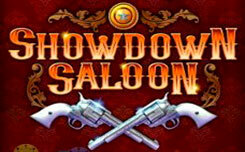 The main symbol of the new game is the logo of the slot, five identical symbols will increase your initial bet 10 fold. 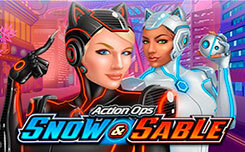 The new slot has only one bonus feature, which is activated when the winning combination coincided. The matched symbol can trigger a Giant Re-Spin, the character can activate 2 × 2, 3 × 3 and 4 × 4 blocks, this can completely fill the entire playing field, and get a guaranteed victory. 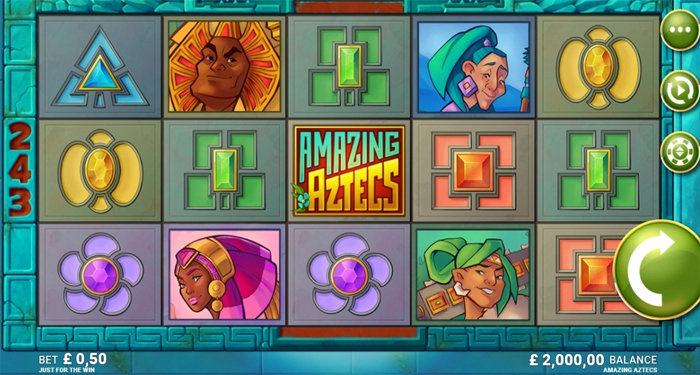 In general, amazing aztecs slot looks pretty simple and has only one bonus feature, which can trigger a huge 4×4 character block. 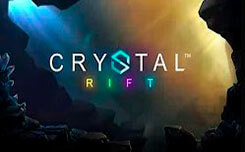 The launch of the slot is scheduled for May 31, 2018.